I used to wear Chevalier d'Orsay regularly about ten years ago, and it was one of the first niche fragrances I ever bought (Eau du Sud by Annick Goutal was my first), before I even knew what a niche fragrance was. I used the bottle up quickly, but didn't buy another until about a year ago. My current bottle has been sitting in a box under my bed for the past year, and today is the first time I've worn it since purchasing it a year ago. It's nice to be reunited with an old friend like this. I've been meaning to write a review of Chevalier for years, since I've always loved this scent. 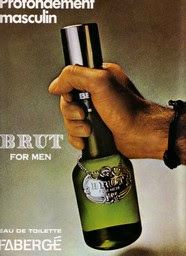 However, it's one of the most complex fragrances I've ever worn, making it really hard to describe what it smells like. That's why I've procrastinated reviewing this for so long. 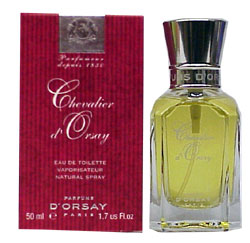 As you probably guessed by its name, Chevalier d'Orsay is often touted as a fragrance for dandies, yet it's not sweet or overly powdery or floral, unlike most so-called "dandified" fragrances. Although it has a certain prim-and-proper feel to it, it lacks the uptight stuffiness that characterizes other dandy scents like Floris No. 89 and Guerlain's Jicky. I think "herbal floral chypre" is the term that best describes Chevalier. It has an overall lemony herbal smell that it sustains for hours, and the golden color of the juice is the very color I think of when I wear this; even though it contains a lot of herbal notes, it smells gold, not green. Chevalier d'Orsay is loaded to the rafters with citrus, herbal, floral and woody notes that are like little sparkles of scent that pop up intermittently for hours. The citrus and wood notes provide dazzle, while the floral notes act like a softening and smoothing agent. The drydown is my favorite part. It's very dry, and it smells like lemon and orange peels mixed with talc and oakmoss. 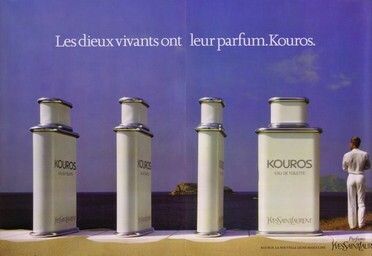 It's the smell of sunshine, and unlike most scents meant for a Victorian dandy, it has a distinctly Mediterranean feel. Although it's a fragrance that can be comfortably worn in any season, I prefer to wear it during the summer, due to its sunny dryness. 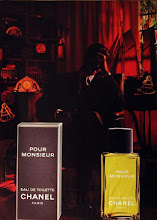 The fragrance I think it most resembles is YSL Pour Homme, only Chevalier is more lemony and floral. 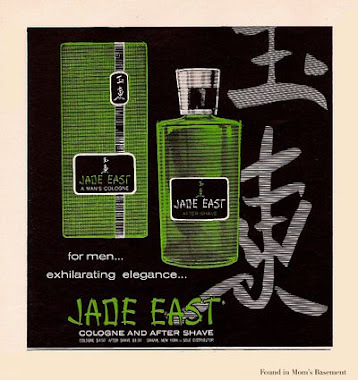 D'Orsay may try to market this as a scent for a fop, but it's really quite versatile, smelling just as appropriate with jeans and a T-shirt as wearing it with a tuxedo at a black tie dinner. 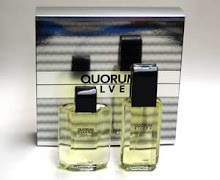 It's a superb fragrance, and is the type you could easily choose as a signature scent. How would you compare it to Homme de Gres? It sounds like they are similar. I wish I could answer your question, but I've never tried Homme de Gres. I've read reviews comparing the two, which makes me want to try Homme de Gres.